All you have to do is tri. A Recap. I am now officially a triathlete. Ok ok. 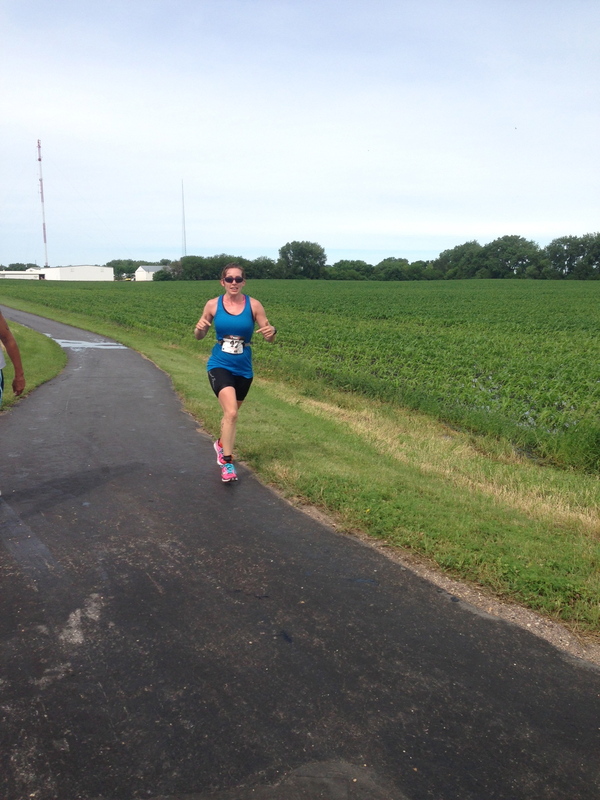 I really don’t consider myself an athlete, much less a triathlete just because I finished one triathlon. I did it. It’s in the books. And I will probably do the same one next year (but only if they keep the swim part in the pool). I say that only because the lake here is NASTY. I don’t mind swimming in open water. I grew up swimming in MN lakes. Green lakes scare me.I don’t even have any cool pictures yet! The race photographers I believe are working on putting the photos in an album online. The race was the inaugural race and things went very smoothly from the participants point of view. I got there a little later than I wanted too, but that’s my fault. I guess I thought living 1.5 miles from the start would give me a little advantage. Not so. I should’ve gotten there a little earlier. I wasn’t late by any means, but I like to be ready and set well before the start of things. 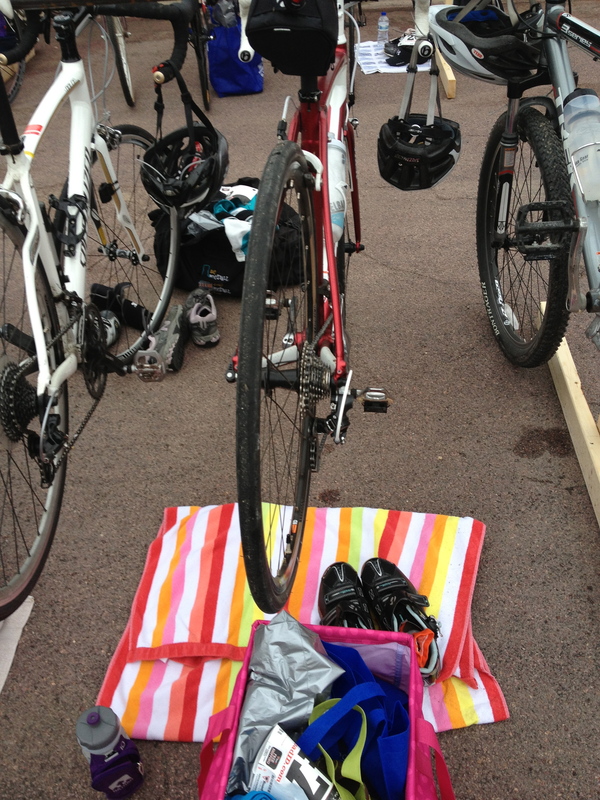 We got there, put our bikes on the rack, got numbered,went to the biff, and stood in line for the swim to start. The swim started and they had 5 lanes open, one person per lane. They started a new person as one completed the swim. The pool water was warm, and it took awhile for my time to come. However you don’t cross the timing mat until you start the swim. It was a short distance, I think 175 yards. 3.5 laps. Done. My swim to bike transition took a little longer than I wanted. I had a hard time getting my socks on. I also took my time, but now I know what to do differently next time. The bike was 12.7 miles roughly. And windy. I am really glad we rode the same route a few days before. We had even stronger winds that day so race day it didn’t seem as challenging. I was really impressed by how encouraging all of the participants were!! Everyone kept saying “good job!” “Looking strong” and “Keep it up”. It really created a positive, fun race. And, since I am usually the most unlucky person when it comes to raffles and random prize drawings, I almost fell over when I heard my name announced in the random prize drawing that I won!!! Check this out! 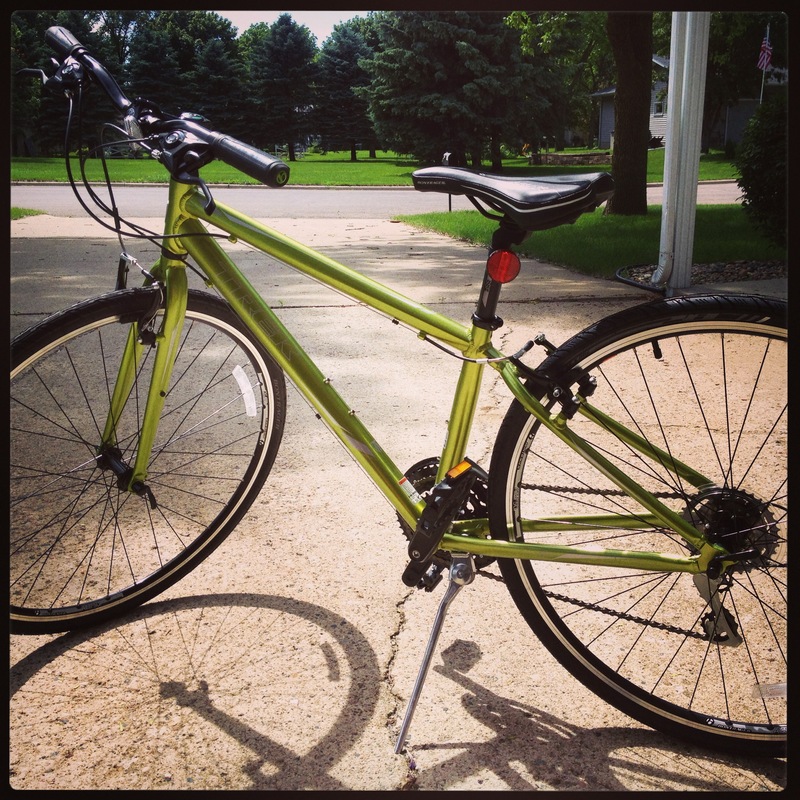 Another Trek bike!!! I was super excited because I never win anything! As far as the race goes, like I said earlier I think the whole thing went really well. The volunteers were very good, the bike portion was directed by volunteers, and there was plenty to eat and drink afterwards. The guys did a great job and I sure hope they host it again next year! 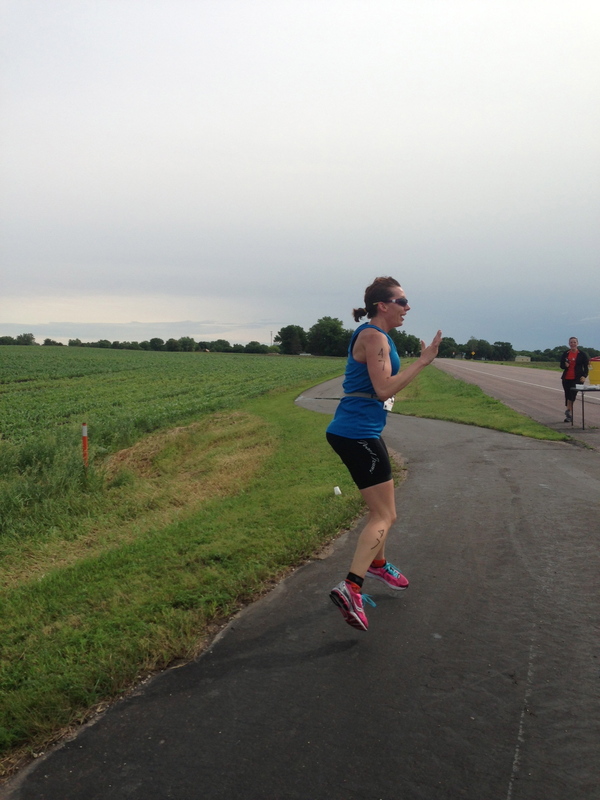 Have you done any triathlons? Would you ever want to do one? Awe thanks dad 🙂 Love you too! Ahhh, I want to do a tri so bad!!! I’m planning/hoping to do one in 2014. You should!! It was so much fun 🙂 I didn’t care about my time, especially because of my less than speedy swimming 🙂 But it was so much fun!